Social media monitoring is a vital process for community and social media managers. With Twitter sending out 2200 Tweets a second, it’s easy to become inundated with the amount of information flying around. Without the right tools, monitoring can be a tiring and arduous process. Thankfully, HootSuite is here to help! There are list streams, search and keyword streams, and even a streaming presentation view to help you make the most of your time spent monitoring. Don’t take our word for it though. Today’s News Roundup includes articles highlighting HootSuite’s monitoring capabilities. Plus, we take a look at what role our beloved Dashboard plays in the lives of a few social media managers. If that wasn’t enough, we’ve also included a collection of articles covering our acquisition of What the Trend. Better pull up a chair for this firehose of good news. As announced in September, HootSuite acquired What the Trend, a tool that provides crowd-sourced definitions for why topics and phrases are trending. Want to know what the latest trending topics mean? 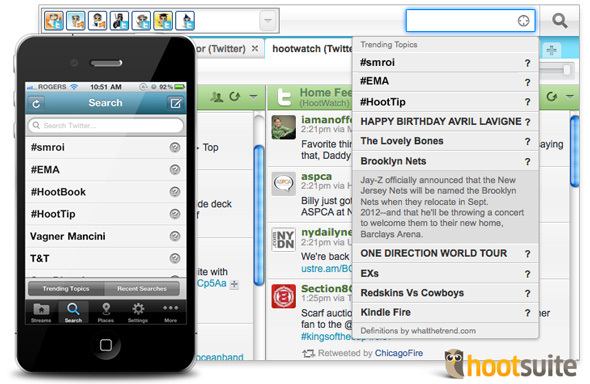 Simply, open the HootSuite search box and click the “?” beside the trending topic to list definitions. We here at TNW have been big fans (and users) of social media dashboard HootSuite for quite some time. The Canadian startup has done huge things over the past year, including raising $3 million in funding and acquisitions of the Twapper Keeper and TwitterBar tools. So it shouldn’t come as a surprise that the company is introducing another acquisition today, of context provider What the Trend. What the Trend has been a staple of the Twittersphere for quite some time, giving insight into what is causing trending topics to trend around the world. What’s been interesting is the human curation aspect of What the Trend, which deciphers into plain English the often-times cryptic trending topics via a process of investigation and crowdsourcing. It should be another great addition to an already-powerful product. 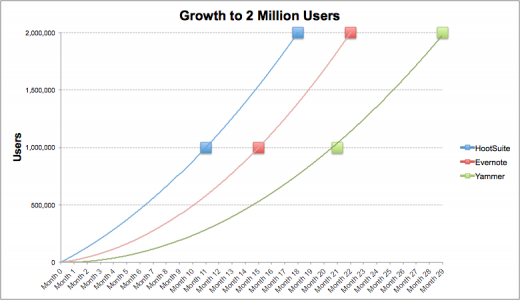 HootSuite has been an SaaS success story since coming out of the gate and is now well over 2 million users worldwide. The WtT integration looks great, too. But selecting your search box, you’ll be able to find not only trending topics, but also have the ability to click a question mark on both the web-based and mobile version in order to find out why something is trending. Why is it important? In a world where social media can make or break a reputation, it’s crucial to know what’s causing something to trend before hopping into a discussion. HootSuite has acquired the Web service “What the Trend” which identifies trending topics on Twitter and explains why they’re trending with crowd-sourced definitions. The company plans to use this tool in their social media management dashboard. Trending topics are one of Twitter’s most important aspects as they highlight breaking news and social trends faster than some of the most reliable news sources. It’s no surprise that HootSuite wanted to highlight this feature. “Adding What the Trend to HootSuite will help brands understand behavior and identify opportunities, plus will help users connect with compelling topics they care about,” said Ryan Homes, HootSuite CEO. What the Trend’s key services are already integrated into both HootSuite’s Web and mobile platforms, but in the next few weeks, What the Trend will be integrated into HootSuite even further. What the Trend co-founder and lead developer, Paul Colton, will join HootSuite as a consultant during the transitional period. HootSuite, the company behind the popular social media dashboard of the same name, has acquired What The Trend, a web-based service that provides user-defined explanations of the top Trending Topics on Twitter. What The Trend, a site keeping you updated with all the latest Twitter trends and topic has just been acquired by the name behind one of the most popular Twitter dashboards, HootSuite. Twitter trending topics are taken seriously by people across the globe and on special occasions when some sports events, sudden happenings, natural calamity, international politics, etc make their place in the news, hashtags play a vital role in taking the news to people. Starting from product releases, brand awareness campaigns, to journalistic breaking news, everything hits the Twitter shore by boarding the #hashtag ship. Twitter trends are quite helpful in making news a viral and prove helpful in the viral marketing campaigns. With the addition of What The Trend to HootSuite, it will now be able to help in understanding the brand behavior and get to utilize the opportunities especially made for them. The acquisition is indeed a great step taken by HootSuite. The social media communications dashboard Hootsuite has acquired “What the Trend”, a website which shares user-defined crowd-sourced explanations and definitions of trending topics on Twitter. This comes after recent funding announcement and acquisitions of Twapper Keeper, TwitterBar and Swift App. What The Trend services are already included in Hootsuite’s web and mobile apps and Hootsuite will now work to more closely intergrate the services. Vancouver’s HootSuite announced this morning that they have acquired What the Trend (WTT) – a web service which shares user-defined explanations of trending topics on Twitter. From team collaboration to scheduling to streams – HootSuite is a tool that caters to the needs of Social Media Managers. See how Baratunde Thurston, Director of Digital for the Onion, and Nathaniel Perez, Head of Social Experience for SapientNitro, are using HootSuite and new media to nurture and grow their online communities. NP: With a solid listening strategy in place, sometimes all you need is… HootSuite to engage with consumers in real-time. The challenge is really to understand how to identify opportunities to engage and have a plan in place to manage conversation. Sometimes, this even requires some advanced technology, to help you sift through data and find actionable trends. Additionally, different brands will have very different conversations, in very different places. When it comes to monitoring, HootSuite practices what we preach. In addition to company and executive mentions, our owls keep a close eye on what’s happening in social media and constantly monitor for what our users seek. Check out these articles to see how people are using HootSuite to achieve their social media monitoring goals. No wonder then that a growing number of small businesses like The Pop Shop are turning to social media tracking technologies such as those offered by… HootSuite. It can be overwhelming; it seems sometimes as if all the Tweets, posts and Facebook and LinkedIn status updates will wash you away. You must abridge the flow in order to siphon relevant information and keep on top of your monitoring efforts. There are a number of free tools that will help you do this, but you must understand how they work together to optimize their faculties. Planning your approach should consist of three stages: Choosing the right tools, using these tools to siphon the right information, and determining a method for absorbing the content and making sense of it. For now, tools such as Hootsuite remain the best option for businesses trying to minimize the amount of social media work they have to do without turning their various feeds into automated, robotic bullhorns. MSNBC – Your Customers Are Talking. Are You Listening? Courtney Boyd Myers of the Next Web tracked down 18 influential social media managers and picked their brains on branding, marketing, tools and social media practices. Indeed, we were pleased to see HootSuite mentioned as the tool of choice for community engagement. CBM: What tools do you use on a daily basis? CBM: What’s your daily routine like? CBM: What tools do you prefer to use in social media? CBM: What tools do you use to manage all of your accounts? CBM: Describe your daily routine and what tools you use. On the topic of listening, HootSuite featured Dan Mangan‘s “Robots” in the HootSuite for Android release video. While promoting his latest album “Oh Fortune,” Dan played a secret show hosted by the Peak 100.5 (video above). Keep an eye out for the HootSuite Dashboard as well, which makes a brief appearance at the 00:10 mark as announcer Cory Ashworth tweets the show’s details over Twitter. “Robots” starts at the 02:34 mark. Watch Owly and Android make friends in the HootSuite for Android release video below. Want to learn how you can better monitor your online community? Visit the HootSuite library for helpful white papers, info sheets, case studies, and more. There’s also great User Created Tutorials to peruse at our Help Desk. 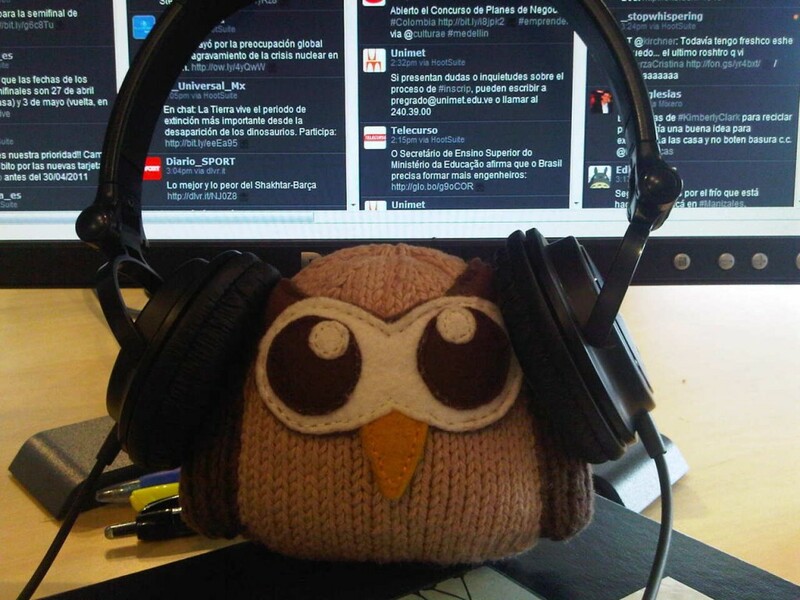 Also, stay updated with the latest news from HootSuite by following @HootWatch and @HootSuite.